Tranquility and scenic enjoyment abound in the foothills of Oregon's beautiful Mt. Hood where lush green space provides a soothing escape from the hustle of everyday life. At the foothills of Mt. Hood you'll find your true escape, Whispering Woods II. Oregon is known for abundant outdoor adventure opportunities like skiing, sledding, snow tubing, snowshoeing, hiking, fishing and breathtaking visitor sites like Multnomah Falls. A homespun atmosphere is found at Whispering Woods II. Comfortable one and two bedroom timeshare accommodations sparkle with attractive, nicely equipped kitchens featuring a blender, coffeemaker, microwave, dishes and flatware. 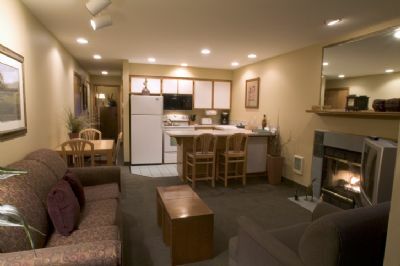 You'll also have a fireplace, dining and separate living areas, washers and dryers, cable TV and DVD. Everyone will like having a barbecue grill and nicely furnished patio. Swim in the outdoor pool, enjoy the spa, work out in the fitness center, or play golf on the 27-hole golf course next door. High speed wireless Internet is available in certain areas of the resort for those who want to share their adventures socially. 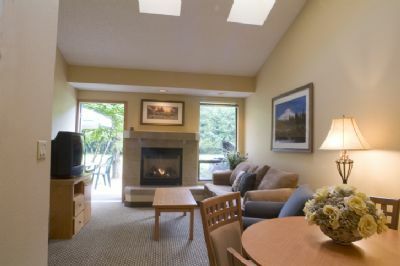 Deciding on one of these Mt Hood timeshares for sale provides an excellent year-round getaway that everyone will look forward to. Nearby attractions like Mt. Hood give you opportunities for skiing, winter sports and hiking, while the Salmon River provides exciting fishing. Mt. Hood National Forest is that doorway to the outdoors that is a real treasure to enjoy in today's rushed environment. Attractions like Bonneville Dam & Fish Hatchery let you explore a scenic dam created during the time of President Roosevelt's New Deal. Multnomah Falls offers amazing one-of-a-kind waterfall photo opportunities. Mt. Hood Railroad appeals to railroad buffs of all ages. Visit nearby Portland for shopping and exceptional restaurants. You've found the perfect getaway with wide-ranging appeal. Tranquility combines effortlessly with memory making opportunities in Oregon. 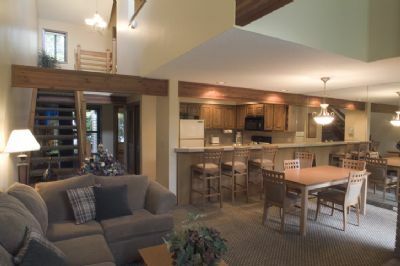 The decision to buy a Mt Hood timeshare for sale quickly becomes a favorite decision. When you imagine yourself fishing in the morning and golfing in the afternoon, few places compare to Whispering Woods II. Contact Whispering Woods II Specialist Today!